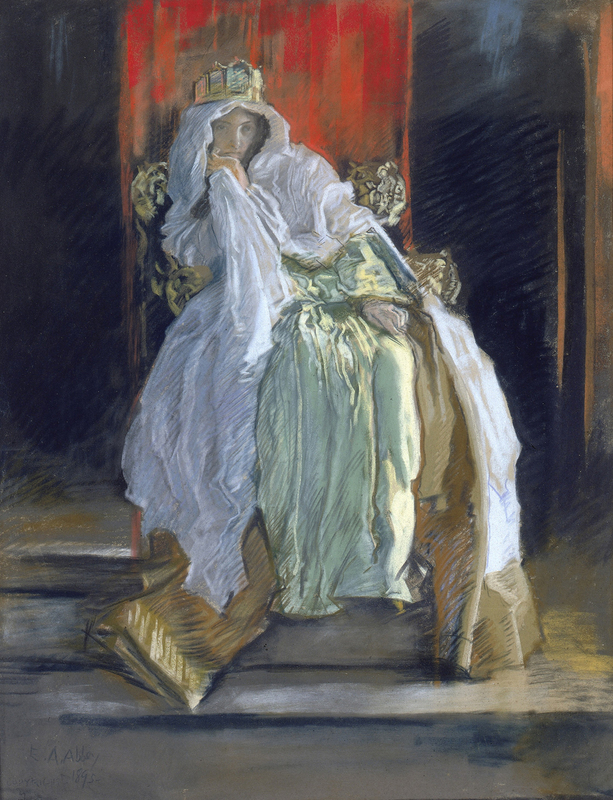 Philadelphia-born illustrator Edwin Austin Abbey (1852-1911) reached success at a relatively young age. After studying at the Pennsylvania Academy of the Fine Arts, he began producing illustrations for Harper's Weekly while still a teenager. He also created pen and ink illustrations for several books, including many of the works of William Shakespeare. 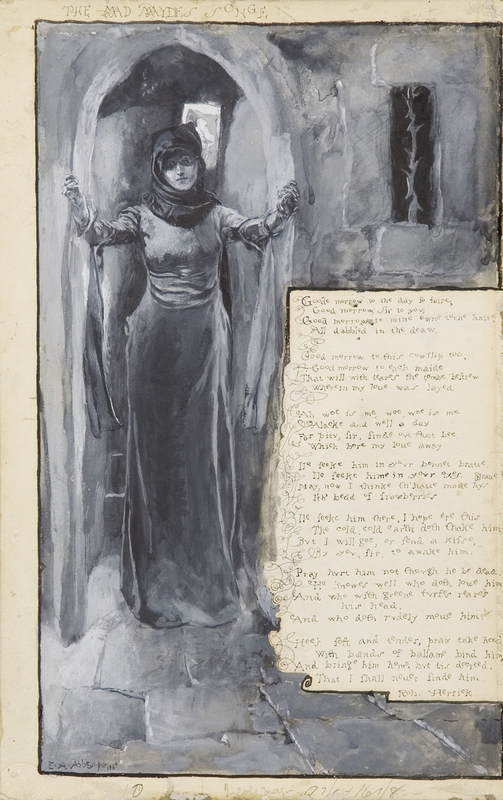 In the midst of his early successful illustration career, in 1878 Abbey made England his permanent residence and solidified his reputation in both countries, becoming a member of the prestigious Royal Academy in 1898. 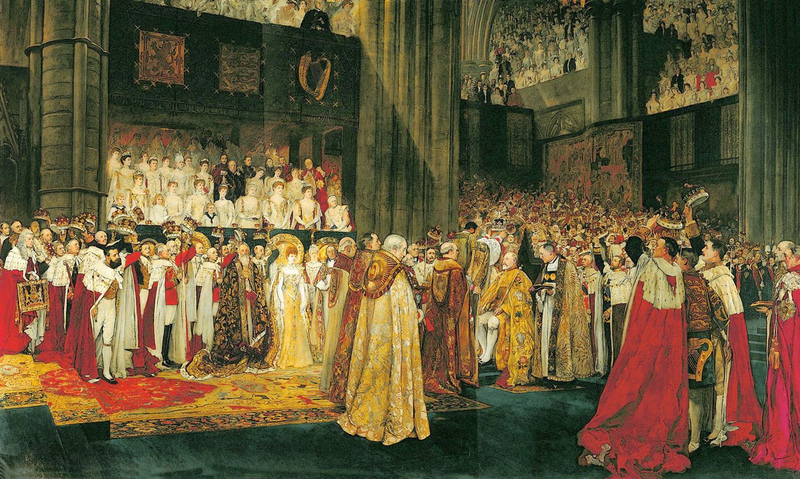 In 1901, he received a commission to paint King Edward VII's coronation at Westminster Abbey in August 1902. Throughout the rest of his life, Abbey continued to produce illustrations for American publications, as well as a variety of murals. Most notable are his murals for the Boston Public Library and the State Capitol of Pennsylvania in Harrisburg. Abbey died in 1911 while painting the mural in Harrisburg, though his artistic vision was completed by subsequent muralists. Abbey, Edwin Austin. 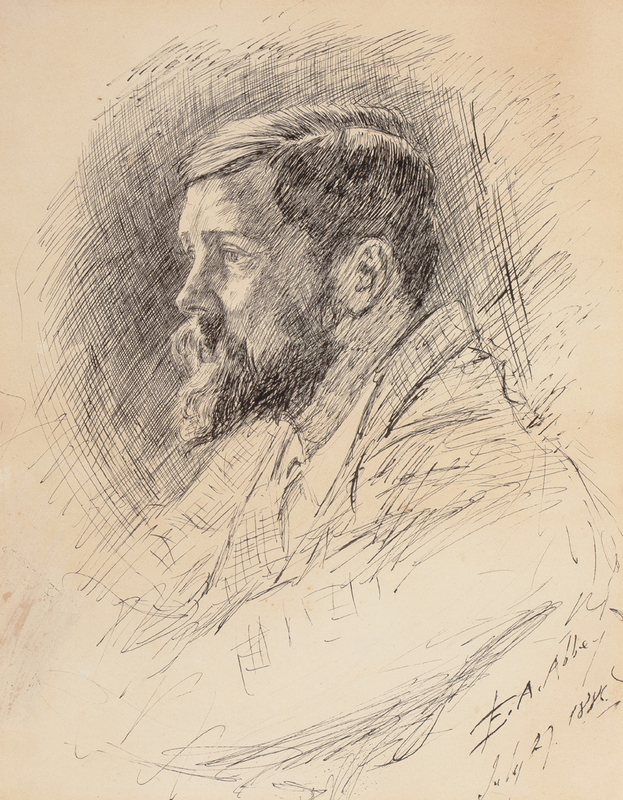 An American Soldier: Letters of Edwin Austin Abbey. Boston, MA, Houghton Mifflin, 1918. Chandler, Anna Curtis. 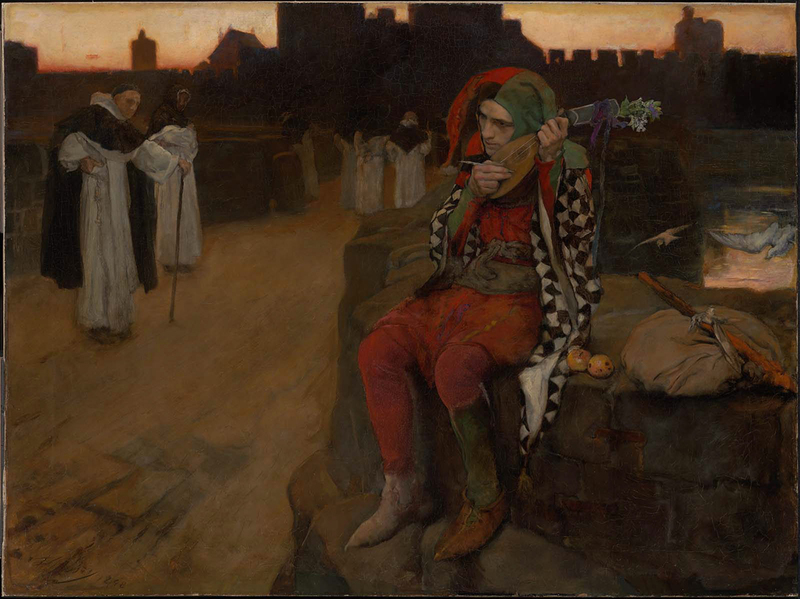 Edwin Austin Abbey: The Artist Who Pictured King Arthur's Court. Whitefish, MT: Kessenger Publications, 2005. Johnson, Fridolf. Treasury of American Pen-and-Ink Illustration: 1881 to 1938. New York: Dover Publications, 1982. Lucas, Edward Verrall. 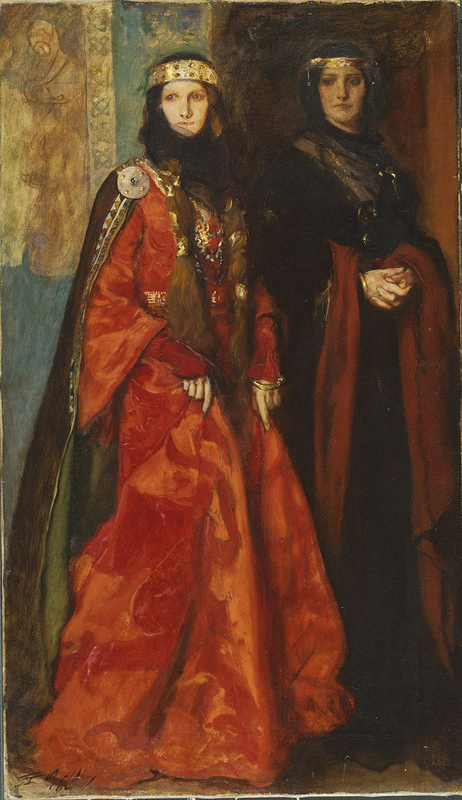 Edwin Austin Abbey, Royal Academician: The Record of His Life and Work. New York: Charles Scribner's Sons, 1921. McSpadden, Joseph Walker. Famous Painters of America. New York: Dodd, Mead & Company, 1916.